If you have a document from a private company or individual that you need notarised, then you need an 'Affidavit' from a Solicitor or stamped by a 'Notary Public' We offer Certified translation (for Anglophile countries) and Sworn translation (for Continental Europe) after notarisation. Where a document from a private company or individual needs authenticating, so it can be used in a legal setting (normally abroad). You can not do this by post, you have to physically meet with the Notary Public. 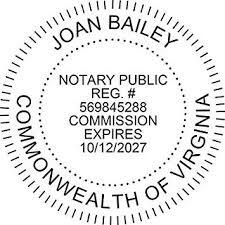 Find a notary public local to you. It is authenticated by a Notary Public, who will stamp and sign them. This is then seen as legally acceptable in courts/Government departments/etc..
A solicitor offers an 'Affidavit', which is swearing in front of the Solicitor that the documents are a true representation to the best of your knowledge. Cost per 'Affidavit'/swearing and is about £5 is normally done by a Paralegal (completed a Law degree/conversion course but not Articles). In Legal terms this is below getting the document notarised by a Notary Public. With an Affidavit the document is not authenticated by the Solicitor. Do you have a document issued by a Public body that you need legalised? Then you need an Apostille, as these only cover Public documents. In theory you could get a Notary Public to authenticate them but an Apostille is much cheaper and quicker and can be done by post.